There was a missing person when the New York City Council conducted its hearing on the city’s failures in the December blizzard. 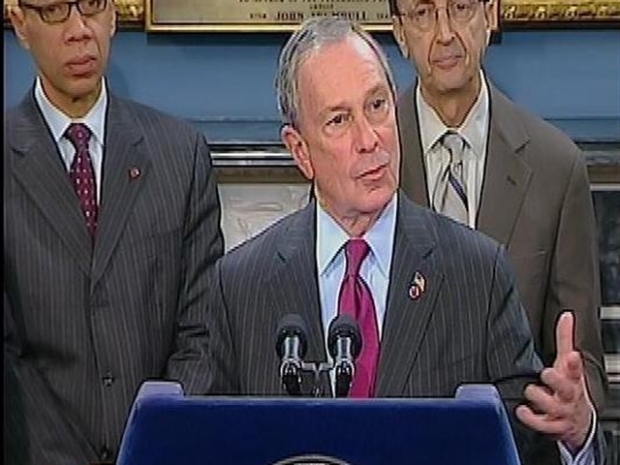 That missing person was Mayor Michael Bloomberg. If it was the mayor’s intention to deflect the blame from himself to some of his key subordinates, he didn’t succeed. Everything that transpired at the hearing cried out for his presence. The Mayor had apologized previously [in a perfunctory way] for the city’s performance in the blizzard --but he refused to face the music when the City Council, meeting its responsibility to oversee the actions of the executive branch of government, convened to closely question the performance of the city administration. In the five-hour hearing, Deputy Mayor Stephen Goldsmith admitted there were “a lot of mistakes made” during the storm. He announced a 15-point plan for the future. He admitted the city should have declared a state of emergency, which would have given officials authority to clear parked cars from streets. In a press conference today, Bloomberg responds to questions about being out of town when the blizzard hit and accountability. the sanitation and transportation commissioners, decided it was not necessary. Both Goldsmith and Mayor Bloomberg were out of town but each has refused to reveal where he was on this holiday weekend. The mayor has bristled over reporters questioning his whereabouts on a weekend. He insists he’s entitled to his own private life the same as anyone else. But he isn’t. He spent many millions to get and keep this job and it requires him to be available every day in the year and not to hide his whereabouts from the people who elected him. A Times reporter, Michael Barbaro, unraveled the mystery of the Mayor’s whereabouts during the blizzard. He was at his vacation home in Bermuda. Hardly surprising. He flies down there frequently. But Bloomberg treats that information as a state secret. Goldsmith took responsibility for not keeping the mayor informed about progress in snow removal. But the mayor, who at first advised New Yorkers not to get too anxious about the storm, to get on with their lives and even take in a Broadway show, obviously had it wrong. To his credit, he does have people working for him who are loyal. His commissioners fell on their swords obediently at the Council hearing. Yet there was one man missing and he should have been there.